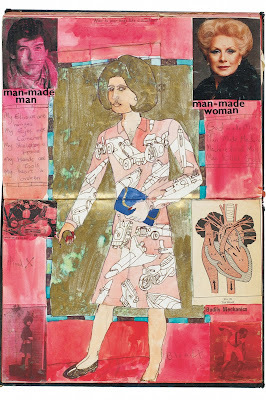 Pretty slim pickings in today's papers but The Guardian has published a selection from Grayson Perry's sketchbooks. • Sketchbooks by Grayson Perry is published by Particular next week. Grayson Perry: All Man begins on Channel 4 'in the spring'. Bought the big issue the other day, purely to give money to the vendor, I don't like any magazines or papers really. Off went off on a rant about it but had an interesting science piece, and I like John Bird alot.